Leaders of Costa Rica’s food industry on Tuesday reported that their production has increased by only 1.79 percent this year, a low figure that has prevented the sector from growing or creating new jobs. It also increases uncertainty for next year, they said. The Costa Rican Food Industry Chamber (CACIA) on Tuesday presented the report “Results for 2014 and Expectations for 2015,” which also notes that Costa Rica for the second consecutive year has tallied the worst employment figures in the last 10 years. 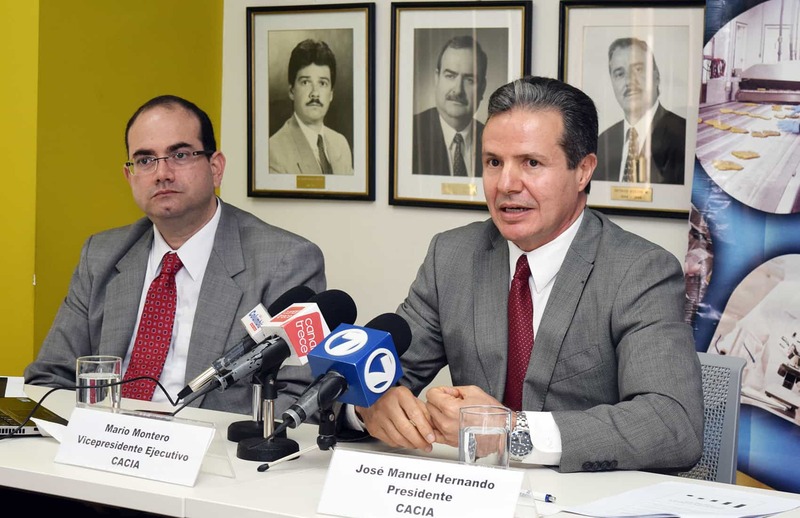 The local food industry laid off 249 workers this year, due to a drop in domestic and international sales, CACIA President José Manuel Hernando said. Businesses this year exported 5.3 percent less than in 2013, the only decrease in exports registered by the sector in the past decade. “In this context and with all the contradictions expressed by our government, we expect a less-than-flattering 2015,” Hernando said. The chamber’s projection for next year is less than 1 percent growth, with a similar number of layoffs, he added. Among the “government’s contradictions,” Hernando said President Luis Guillermo Solís had promised no new taxes for at least two years.“Just six months later, an increase in sales tax from 13 to 15 percent is currently under discussion,” he said. The CACIA leader also claimed that Solís pledged not to approve more trade agreements and focus on improving internal competitiveness. But there is strong pressure to approve tax exemptions and other benefits due to Costa Rica’s affiliation with the Pacific Alliance, he said. Hernando said that Solís also had promised to maintain electricity rates unchanged until next year and to evaluate increasing the participation of private generators.“But rates are still hiking and Solís has closed options for more private electricity generation,” he said. Solís’ controversial lifting of a veto on the Labor Procedures Bill also was part of the chamber’s report. CACIA leaders — like other private-sector groups — oppose that move, claiming the president broke a promise to postpone discussion of the veto for at least one year. “Solís has signed a blank check in favor of the most radical labor groups, who are now more likely to paralyze the country and are now protected by law,” Hernando said. CACIA’s findings coincide with results of a study by consulting firm Deloitte that on Monday reported 45.2 percent of private-sector employers who were surveyed believe the country’s economic situation will worsen within a year.